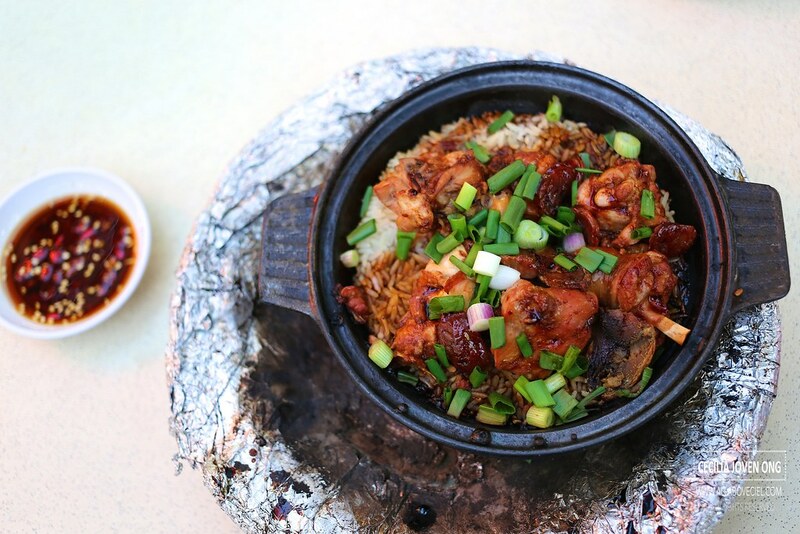 This is the most talked about Claypot Rice in Ang Mo Kio, tucked away at the coffee shop along Ang Mo Kio Avenue 6 and right behind the Ang Mo Kio Central Food Centre. Most of the customers in that coffee shop came for their Claypot Rice. The stall is named after the then Broadway Theatre and the current Broadway Plaza located just beside the coffee shop and it has been around for about 3 decades. 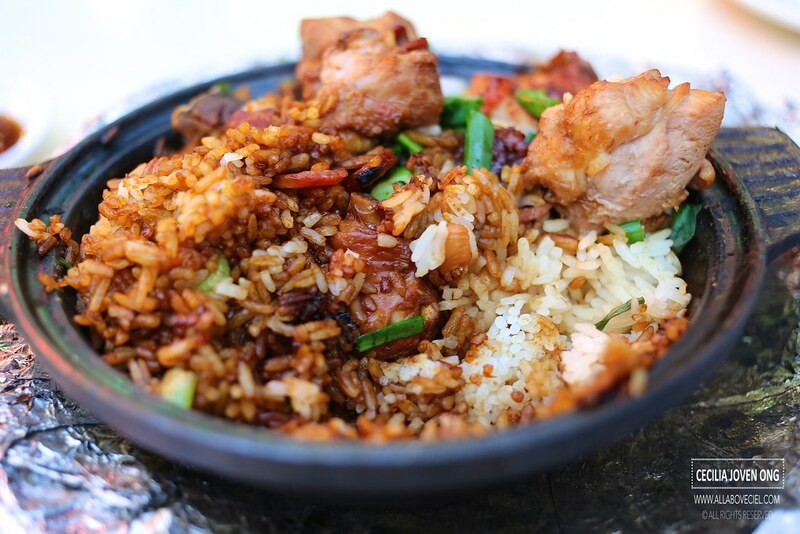 You could choose in between the standard Claypot Rice which serves with the normal chicken for 1 pax ($7/$9), 2 pax ($13), 3 pax ($18) and 4 pax ($22) or the premium version which serves with Kampong Chicken for 1 pax ($8/$10), 2 pax ($15), 3 pax ($20) and 4 pax ($24). 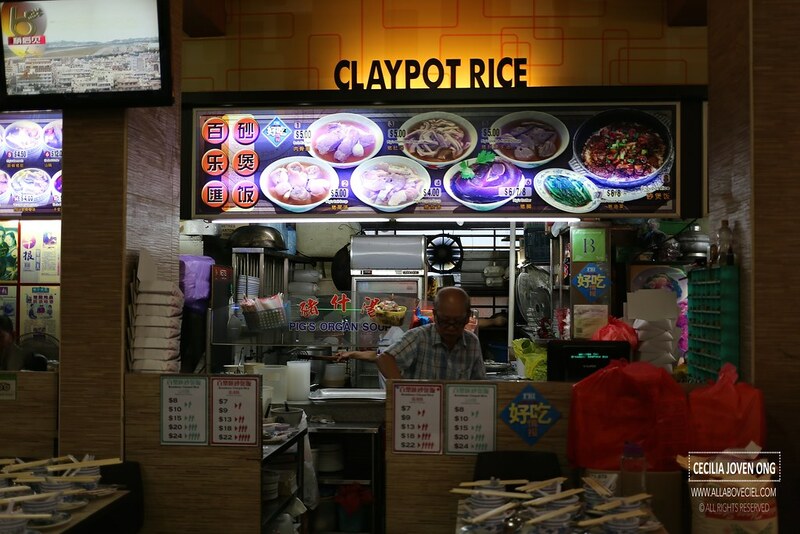 The difference between the standard and the premium Claypot Rice is only $2. They cook upon order thus a waiting time of about 15 minutes or longer during their peak hours is expected. It was served sizzling hot and steaming along with its aroma. 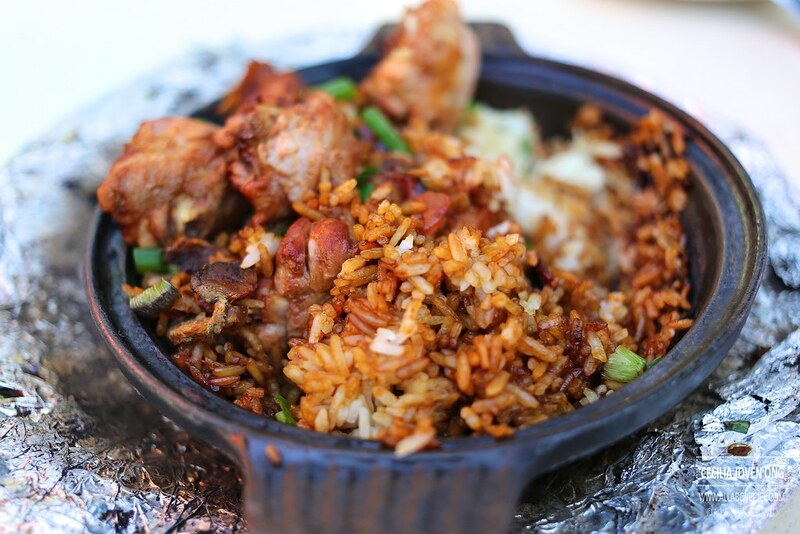 Their Claypot Rice consists of a substantial portion of rice with chicken and sausage and it came all drizzled with dark soya sauce. You just need to give it a good mix without worrying how much dark sauce to add for the right flavor. The rice was cooked well to a desired texture, which is not too dry nor lumpy. There were a few chunky pieces of chicken though a bit boney but it was quite tasty together with a few thinly sliced Chinese sausage in it and topped with chopped spring onions to serve. The taste was alright though a slightly salty and i guess it might have to do with my personal preference. You could also taste bits of dried salted fish amongst the rice and it added flavor. 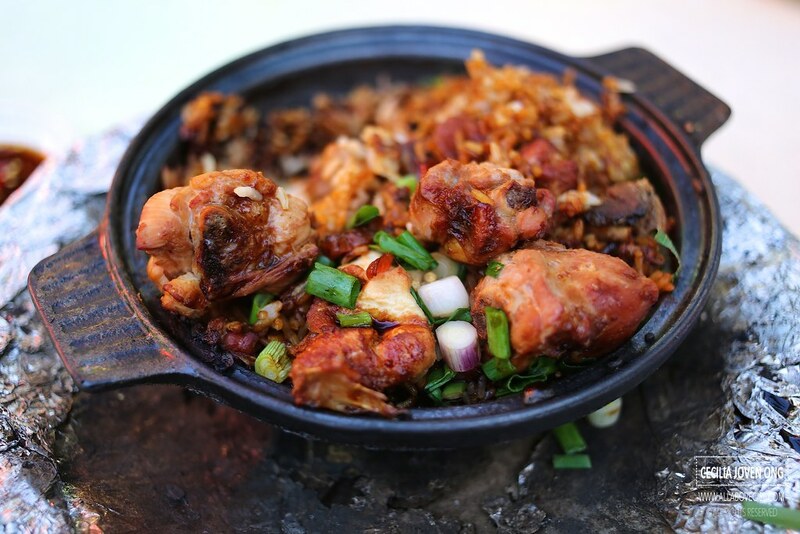 It has the nice burnt taste with a thin layer of burnt and charred rice crisps at the bottom and along the side of the claypot, though crispy but a bit too hard but it gave the rice a delightful flavor. You could actually taste the layers of flavor with each ingredient. Though my last visit was quite a while ago but it still tasted as good as before. However, the portion is getting smaller and that somehow explained why there are 2 prices for a portion to serve 1 pax. Their menu includes Bak Kut Teh, Pig's Stomach Soup ($5.00), Pig's Liver & Kidney Soup ($5.00), Pig's Tail Soup ($5.00), Pig's Organ Soup ($4), Pig's Trotter ($6/$7/$8) and Oyster Vegetable Soup ($6/$8). There is also a famous Chinese Herbals Soup stall and an equally famous Western Food stall in the same coffee shop. The overall experience might not be absolutely mind blowing but it was hearty and comforting, in fact, this is all it really needs to get their customers to keep coming back. This is no doubt their open secret to be around for a good period of 30 years to continuing serving their Claypot Rice to mostly the residents of Ang Mo Kio.